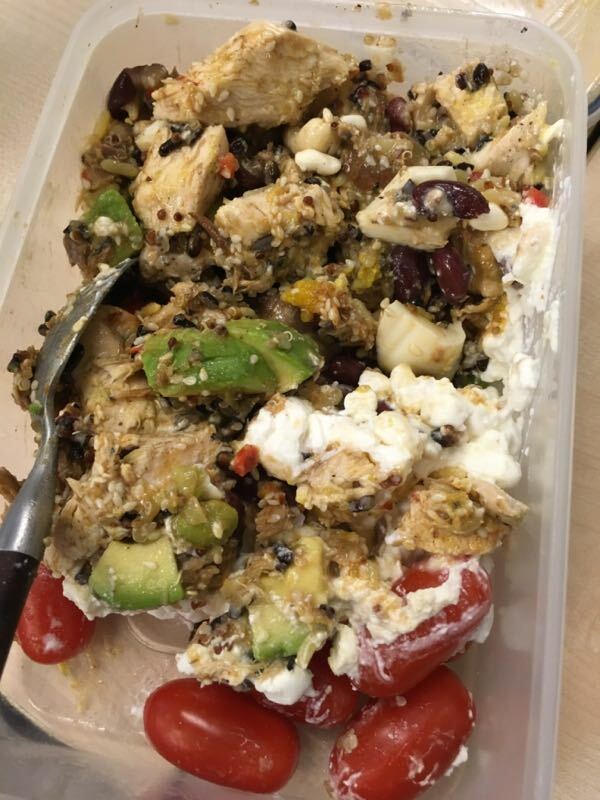 Last week I decided to shake up my daily lunch – I eat the same thing every day, after a bulk prep on Monday – kept in the fridge then packed in tupperware. Used to be I had tuna sandwiches with salad, but I got worried about all the mercury. For a while it was mackerel, but I got tired of the taste. For a long time it was just chicken and mayo, with the bread getting phased out, until I was eating just chicken and salad every day. Messy but good. This on top of oatmeal with nuts and berries for breakfast, plus vitamin/mineral pill and fish oil – how could I be eating any more healthily? The only downside is it takes about an hour on Monday morning to prep it all!